ASET provides a comprehensive range of services for its members – 1500 academic and placement professionals at over 120 HEPs. For more than 35 years ASET, the Placement and Employability Professionals’ Body, has been at the forefront of developments in all forms of work based learning and placements. It has been the catalyst for the development of guidelines in many areas and also the promotion and dissemination of good practice. ASET is a charity run by work-based learning practitioners for work-based learning practitioners and so we are able to offer support, advice, guidance and representation to all professionals who work in the field. ASET runs a programme of staff development workshops throughout the year, and an annual residential conference in the first week of September. Conference features keynote speeches on the central issues of the time, and a broad range of research papers and presentations given in smaller participatory workshop sessions. The full conference proceedings are published following conference and are available to download from the Publications section of the website, alongside the ASET Good Practice Guides. Bulletin news, events mailings and the website continue to inform members of developments within ASET and the field of work-based learning. The website also has sections dedicated to Good Practice Advice and Research Projects as well as a list of groups and forums you may wish to join. 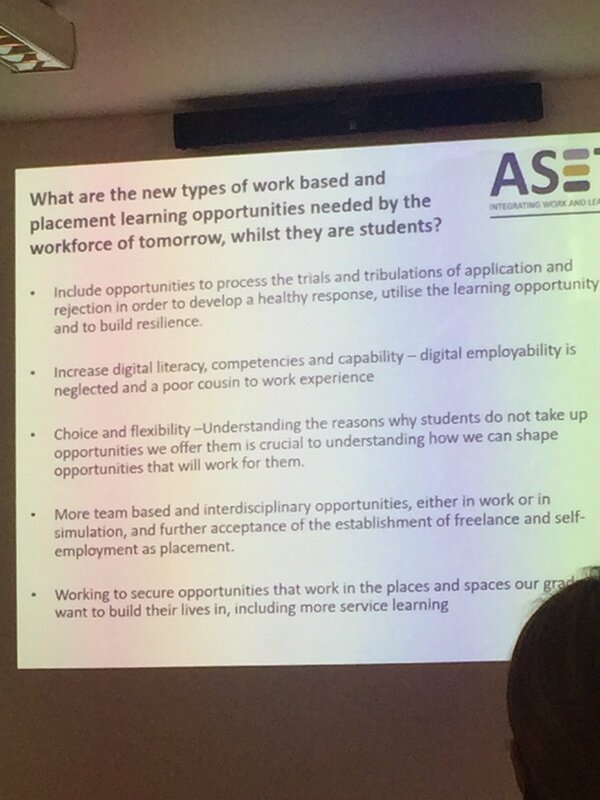 Our association will do all we can to promote the concept of work placements and to help all relevant staff meet the challenges posed by the ever changing and expanding debate on work experience/placement learning. Please email the ASET office aset@asetonline.org if you are interested in becoming a member. By joining ASET, you are not only given the opportunity to work with like-minded professionals at our annual conference, networking events and training sessions, but our members also gain access to a wide range of resources and publications, helping to keep your knowledge base current.